This new set is the first collection of Miles’s Third Great Quintet, the “Lost” Band of 1968-1970 with Miles Davis, Wayne Shorter, Chick Corea, Dave Holland, and Jack DeJohnette at their peak (they were never recorded in the studio). 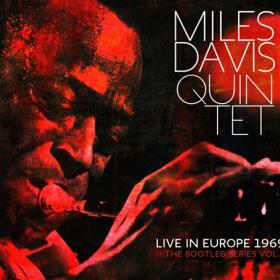 The album captures the short-lived quintet in three separate concert settings, starting with two full-length (one hour-plus) sets at the Antibes Jazz Festival in France, in Stockholm as part of “The Newport Jazz Festival In Europe,” and completed with a stunning 46-minute performance at the Berlin Philharmonie, filmed in color. CD One tracks recorded 7/25/69 at Festival Mondial du Jazz d’Antibes, La Pinède, Juan-les-Pins, France. CD Two tracks recorded 7/26/69 at Festival Mondial du Jazz d’Antibes, La Pinède, Juan-les-Pins, France. CD Three tracks recorded 11/5/69 at “The Newport Jazz Festival In Europe,” Folkets Hus, Stockholm. DVD tracks recorded 11/7/69 at Berliner Jazztage in the Berlin Philharmonie.